The Programme of Postgraduate Studies (MA) «CRIMINOLOGY», operates in the Department of Sociology of Panteion University as an officially recognizedpostgraduate programme by the Ministry of Education since the academic year of 2003-2004, initially under the title «The Contemporary Criminality and its Confrontation» (see the Government Newspaper Sheet No. 1200/26-8-2003) and since July 2014 under its current title (see the Government Newspaper Sheet No. 2006/23-7-2014 and 1661/10-6-16). The section of Criminology has a substantial tradition in postgraduate studies, having since 1984, with a relevant decision of the Senate of Panteion University, its first Postgraduate Seminar in Criminology. Additionally, in the Section of Criminology operated since 1998, the direction of Criminology in the interdepartmental program of postgraduate studies “Social exclusion and Minorities” (EPEAEK, B’ KPS) of the Department of Sociology and the Department of Psychology of Panteion University, as well as the two-year postgraduate program of Euro-american collaboration of the Section of Criminology, on the topic “The globalization of crime and the response of justice”, which led to the grant of a joint diploma by six universities (American University Washington, Florida State University and Sam Houston-Texas University, Panteion University, University of Bologna, University of Barcelona). 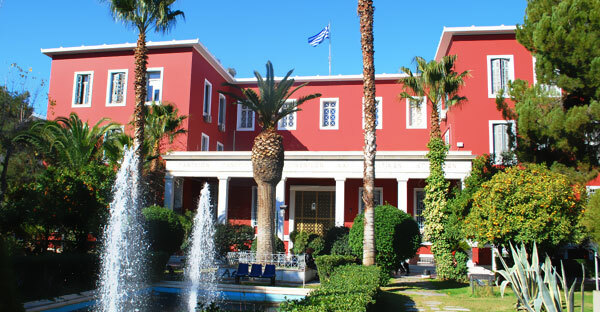 The main objective of the postgraduate programme of Criminology is the study of the basic types of criminality and their evolution in Greece, in Europe and internationally, the exploration of the factors and the processes that contribute to its creation, as well as the analysis of the trends of the contemporary criminal policy. The postgraduate students can work as specialized staff, researchers and consultants, in public and private services (Ministries of Justice, Interior, Education, etc), and in particular Police, detention centers, probation services, other social services (public or private), Local Councils for Crime Prevention, Centers for the prevention and confrontation of social exclusion (ex prisoners, drug addicts, immigrants, homeless, unemployed etc.) or support to victims of crime (abused women, children etc), as well as similar governmental or non-governmental agencies.